A set of new screenshots and video – tweeted out into the public domain by developer Steven Troughton-Smith – shows Apple’s upcoming macOS 10.14 operating system, giving us an insight into a new dark mode, as well as the existence of a stock Apple News app for Mac. The shared material actually gives quite a lot away about Apple’s upcoming macOS 10.14 platform. With that said, perhaps the most striking visual giveaway is the fact that the platform is clearly sporting a very distinctive dark mode which appears to be present across the whole system. 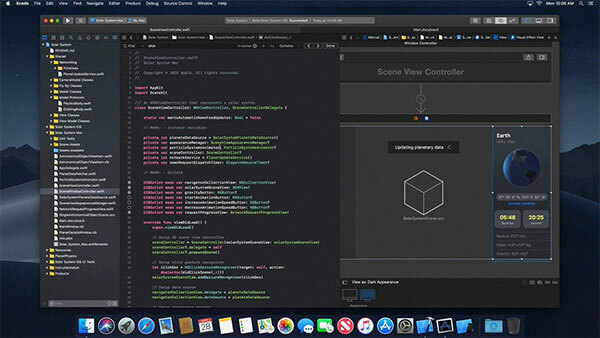 Troughton-Smith says that the backend API that the Mac App Store uses includes a video preview for new Xcode 10 complete with a very gorgeous dark skin to it. Since the current Mac App Store on macOS 10.13.5 doesn’t support video previews, it is clear that this video preview was meant for upcoming Mac App Store as part of macOS 10.14 and shouldn’t have been there for macOS 10.13.5. As usual, the spoilers came from within: Apple posted a 30-second preview video of Xcode on 10.14 to the Xcode MAS store page API (which, as videos aren’t supported on the MAS, ‘should’ have been hidden. Guess nobody checked.). In addition to the system-wide dark mode, the leak has also pretty much given away that fact that the Mac App Store will be getting a refresh and that it will contain the ability to hose video previews of apps, similar to how Apple’s iOS App Store currently works. Apple has shown clear signs in recent times that it wants to try and unify the iOS and macOS experience, which means that the Mac App Store is likely to feature a similar redesign as iOS contained when iOS 11 was introduced last year. All of those things are lovely little tweaks but it’s this universal dark mode which will definitely get the most rapturous round of applause when it’s announced next week at WWDC. Additionally, those with a keen eye who very rarely miss any details will likely have already noticed from that there is now an icon sitting in the macOS Dock for Apple News app. This has proven to be an extremely popular app for iPhone and iPad and will likely continue that popularity as it moves across to macOS. At present, we don’t know what Apple is planning on calling macOS 10.14 but the wallpaper that shows up in the screenshots could potentially point at macOS Mojave, as speculated by 9To5Mac. 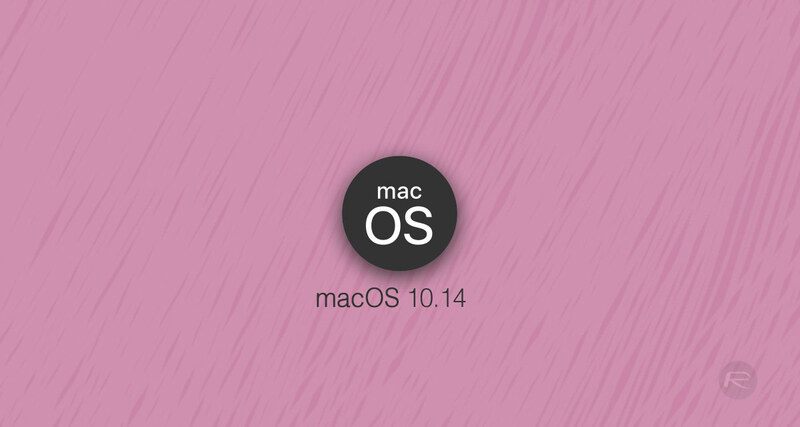 We will definitely know more next week when Apple announces macOS 10.14 officially. For now, look at the images and videos and get yourself prepped for the official announcement.